Pastor Colin S.G. Miller Elder Colin S.G. Miller was born in Kingston, Jamaica WI and raised in Queens, New York. He is married to anointed soloist Darlene Miller and has two children. In 1988 he earned his Bachelor’s in Business Administration from Howard University, Washington, D.C., with an emphasis in Management Information Systems. In 2016 he earned his Masters of Arts in Religion, Evangelism and Church Planting from Liberty University, Lynchburg, Va. 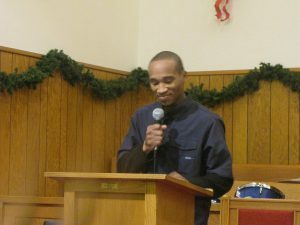 He attended Emmanuel Tabernacle Church of God in Christ in Minneapolis, MN where Elder Mark Frazier is his pastor. 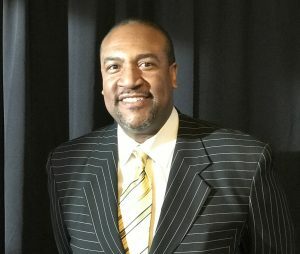 Prior to relocating to Minnesota, Elder Miller attended Faith Temple Church of God in Christ from 1990 to 2006 in Evanston, IL where Bishop Carlis L. Moody Sr. is his pastor. Elder Miller was also the Evangelism and Outreach Director for Faith Temple Church from 2000 to 2006. He also served as the District Evangelist for the Bishop Carlis L. Moody District under the leadership of Superintendent John Brewer from 2004 to 2006. In August, 2001, he was ordained an elder in the Church Of God In Christ. He is the founder and pastor of Christ Saving Grace Church of God in Christ in Crystal, MN where Bishop Fred W. Washington is his jurisdictional Bishop. SPECIAL MINISTRIES Preaching Ministry, Teaching Ministry, Believer’s Maturity, Evangelism, Revival, and Men’s Ministry, Life Coach. First Lady Darlene Miller Darlene Miller was born and raised in Evanston, Illinois. She is married to Pastor Colin Miller and has two children. 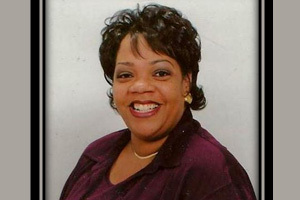 For thirty years, Darlene has been using her vocal talent in a back-up capacity for many well-known gospel artists including Donnie McClurkin, Marvin Sapp, Vicki Winans, Yolanda Adams, Percy Bady, Darius Brooks, R. Kelly (I Believe I Can Fly), The Staple Singers, The Williams Brothers, Karen Clark-Sheard, Dorinda Clark-Cole, Tonia Hughes, Elder Billy Steele and others. Her singing has been a great inspiration to many. 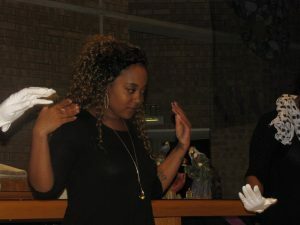 In addition to her gift of song, Darlene is accomplished in Gospel Drama, having starred in several plays, performed throughout the United States. She is most noted for her performance in the musical hit drama “First Love”, written and directed by her sister, June McClain of Juma’ Productions. She is also a realtor for the state of Minnesota. SPECIAL MINISTRIES Praise and Worship, Prophetic Singing, Healing, Women’s Ministry, Intercessory Prayer. SPECIAL MINISTRIES Men’s Evangelism, Youth Ministry, Construction Ministry, Intercessory Prayer. SPECIAL MINISTRIES Praise and Worship, Prophetic Dancing, Youth Ministry, Intercessory Prayer.